Dave Kirkendall was selected as the middle school Faculty Focus Friday employee. Mr. Kirkendall is an outstanding member of the Rancho Viejo Middle School family! He comes to work every day with a genuine effort to support students socially, emotionally, and academically. 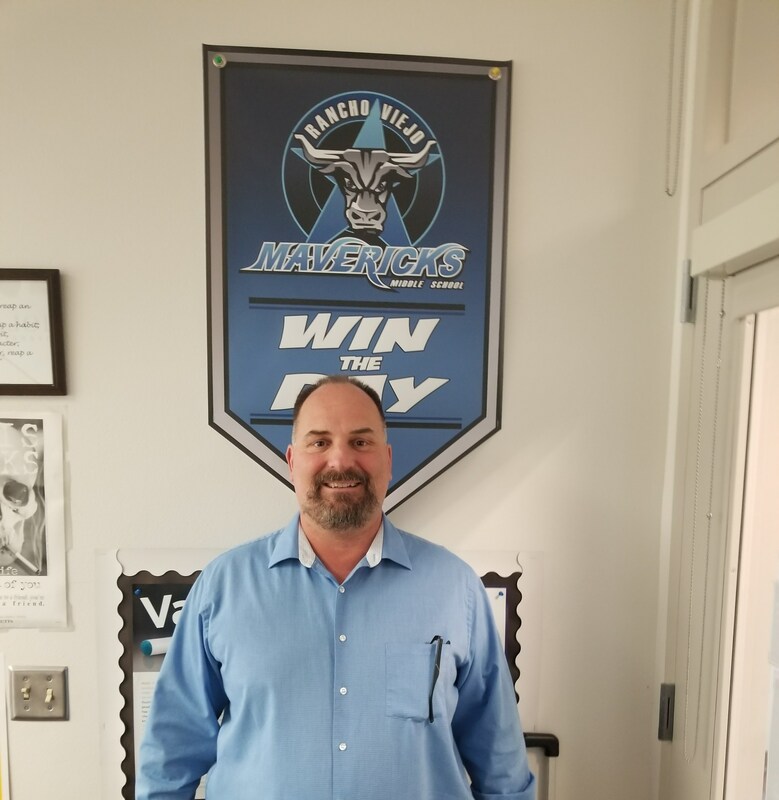 Mr. Kirkendall supports the AVID students on campus, as well as coordinating many groups and social supports for students and families. He genuinely cares for the students, and this is evidenced by his tireless effort and selfless dedication to student success. Congratulations, Mr. Kirkendall! We are grateful for your service and support to the Maverick family!